HBO wants to keep the fires burning as much as anyone, which is why the network has released a series of promotional images and two new clips teasing the upcoming season. 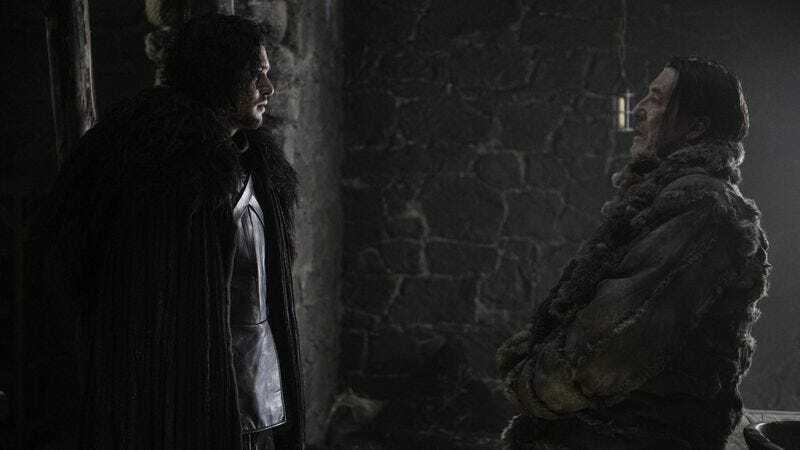 Neither clip features dragons, but we do get to see Tyrion and Varys scheming and Jon Snow getting all self-righteous about something—in other words, business as usual. The new images are more novel, giving us a better look at a few of the vengeful band of half-sisters known as the Sand Snakes, including Nymeria Sand (Jessica Henwick), Obara Sand (Keisha Castle-Hughes), and Tyene Sand (Rosabell Laurenti Sellers). All new characters—because that’s exactly what this show needs, more characters—the Sand Snakes live in Dorne, where Princess Myrcella Baratheon (Nell Tiger Free) can be seen engaging in some preteen intrigue with local boy Trystane Martell (Toby Sebastian). Whatever they’re up to, however, it can’t be as scandalous as whatever Cersei and Jaime are talking about, and Melisandre looks cold, which means it’s probably time to burn some people at the stake.